What a strange title to a blog. Let me explain. 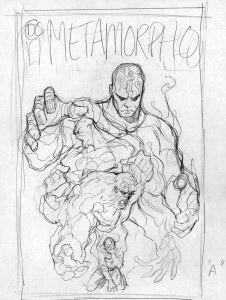 I am currently writing and penciling a new Metamorpho series for DC comics. 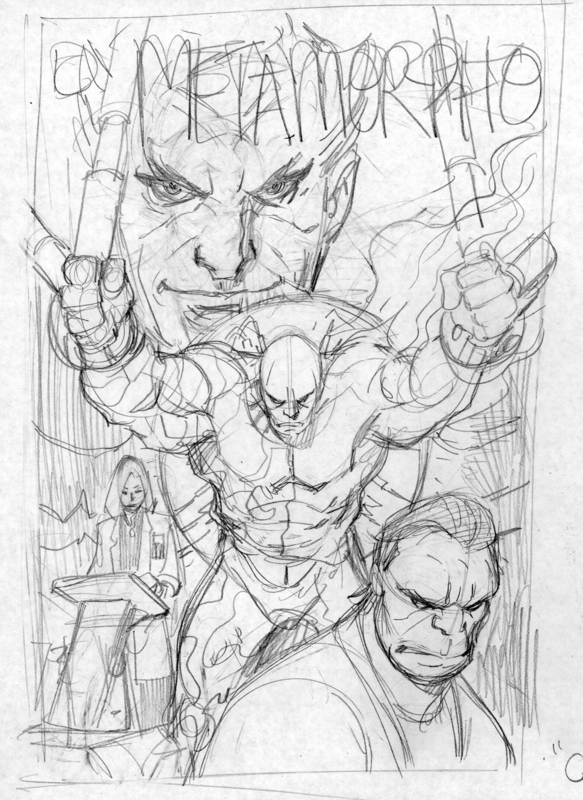 Originally this was intended to be a 6-issue mini-series. 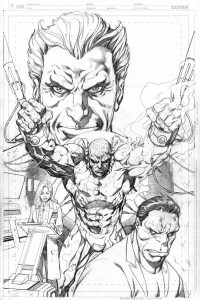 However, after I completed the first issue and the cover art for the first and second issues, it was changed to become part of a large anthology book entitled, Legends of Tomorrow. 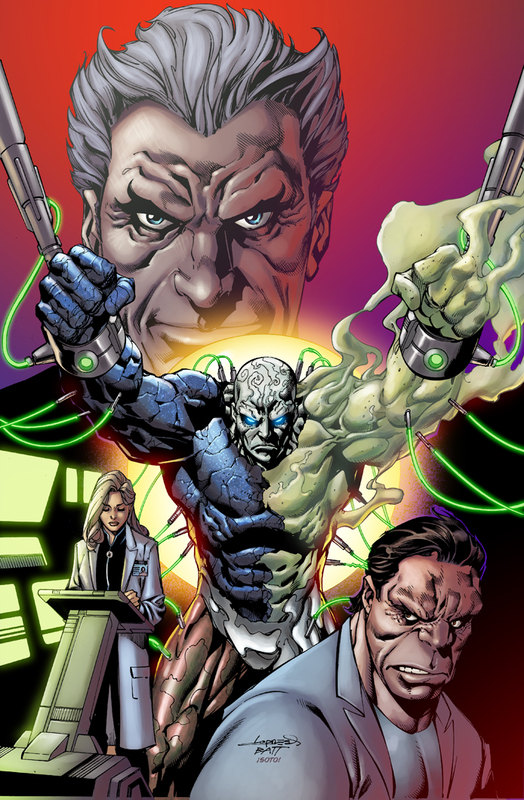 This new anthology book will include full-length stories featuring, Firestorm, A Sugar and Spike reboot, Metal Men and of course, Metamorpho. So here I sit with a penciled, inked and colored cover to a first issue that will not exist. 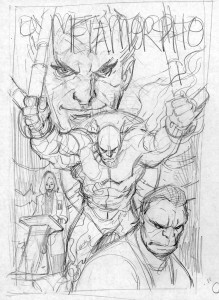 Now it is possible that this cover may find its way into a Trade Paperback but that’s not a guarantee. Then I realized that’s what social media is for! Anyway here is my process and the big reveal of a cover that will most likely not get used. 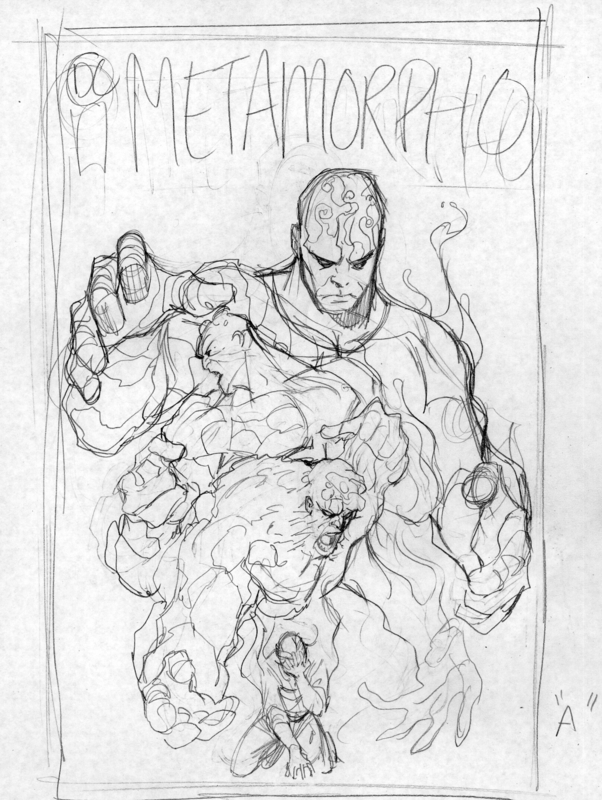 As with all of my covers I have to do a few concept sketches. Here are the three that I did with the last one winning out. 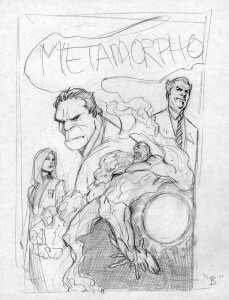 The next obvious step was going to finished pencil on an 11X17 board. For a change I stayed really close to the original concept drawing. 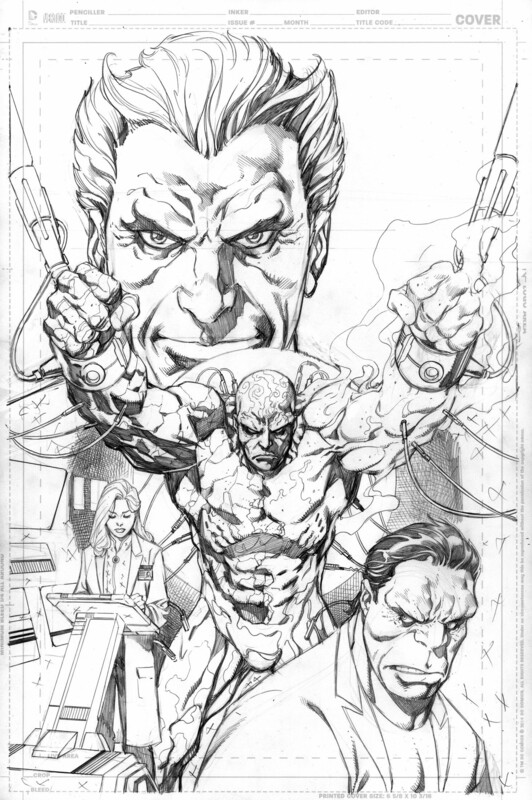 I always like to present really tight pencils, especially when I am not inking myself. 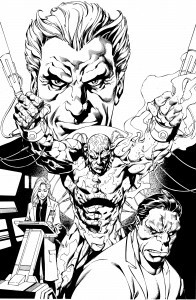 I am very fortunate to have Matt Banning (BATT) inking this series and the this particular cover. He is a pen inker and I am a brush inker so he brings a sensibility to my work that I don’t have. Here is Matt’s finished inks looking very cool. One important note on the ink job. This was not done on a blue line print out. Whenever possible I have the inker work on the actual penciled art board. Chris Sotomayor was gracious enough to agree to color the series as well as this cover. I had worked with Chris before on projects over at Marvel like Captain Marvel and my What If: Avengers Disassembled one-shot but it had been awhile. He, as always, did a great job. So there it is. The finished product to a cover that may not even see print. But when you work with 2 other people on a piece of art and it comes out this good, it’s hard to complain.